This wonderfull plants has so many benefit in herbal medication. Latin Name for this plant is Centella Asiatica. Regional: Daun kaki kuda, Antanan besar, Panegowang or-Kisu Kisu. Chemical nature: Asiaticoside, thankunside, isothankunside, madecassoside, brahmoside, Brahmic acid, madasiatic acid, meso-inosetol, centellose, carotenoids, salt K, Na, Ca, Fe, vellarine, tatin, mucilago, resin, pectin, sugar, vitamin B.
Centella consists of about 40 species with a variety of different in Indonesia, where its spread is limited, except C.asiatica which spread to Southeast Asia and extends to a variety of sub-tropical countries. This plant has been used for the healing process so that better, memory fixes, cancer, immunity, herbal medicine, respiratory diseases, treatment of diseases of the skin (such as psoriasis and eczema), fix the scar, menstrual pain, strengthen muscles, blood purifier, high blood pressure , sedative, anti-stress, anti-anxiety, and stimulants, immune enhancer, and the adjustment of the body, and others. Pharmacological Effects: Its sweet and cool, anti-infective, anti-toxins, fever, asiaticoside and vellarine. 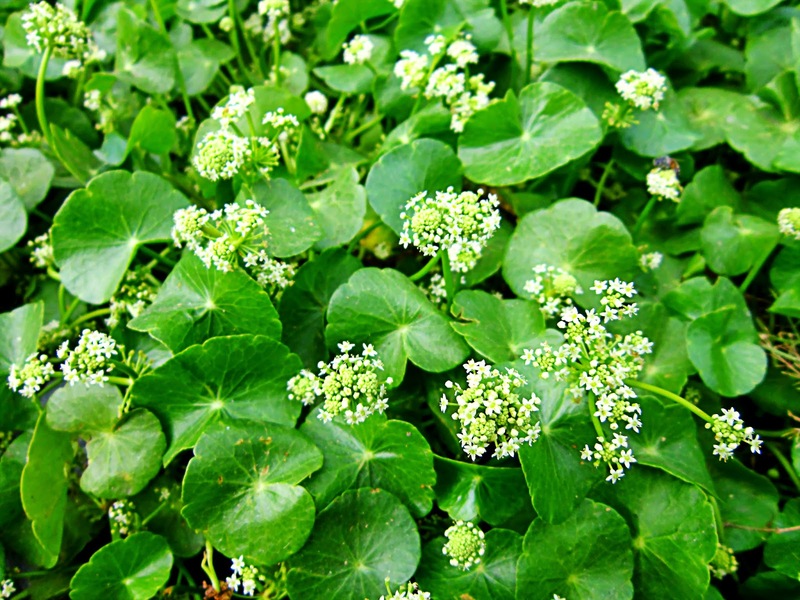 Leaves: as atringensia and tonic; Gotu kola is known for revitalizing the body and brain are tired and for female fertility. Improve circulation to the revitalization of the blood vessels. Method of cultivation: Using stolon and taproot (hump). Stolon roots / sprout is cut along the 2.5 cm and planting directly. In the 14 days has grown. Diseases that can be cured and how to use them. Infection of urinary tract stones / urinary murky: 30 grams of fresh leaves boiled with rice water rinse. Difficult urination: 30 grams of crushed fresh gotu kola, outboard at navel. Swelling of the liver: 240-600 gr fresh kola boiled and drink on a regular basis. Measles: Boil 60 -120 grams of fresh kola, drinking regularly. Eyes red, swollen: gotu kola, washed, crushed and filtered, the water dripped into the eyes 3-4 times a day. Coughing blood, vomiting blood, nosebleeds: Boil 60-90 grams of fresh leaves and drink. High Blood 9: Leaves 20 lb, 3 gls boiled with water to 2.25 gls, drink 3 x 1/4 cups. Hemorrhoids: gotu kola tree 3-4 boiled with 2 cups of water for 5 minutes then drink. Poisoning Gelsemium, elegans, arsenic: 15-30 g fresh boiled then drink.